Bill Cosby will be sentenced Sept. 24 — five months after he was convicted of sexual assault. Judge Steven O'Neill set the date on Tuesday. Cosby's lawyers had asked to delay sentencing until December. 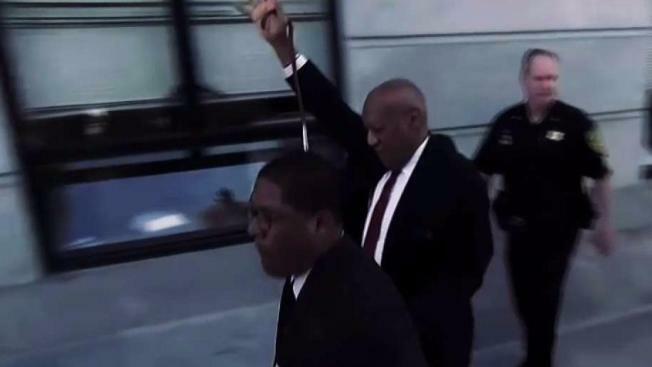 Cosby has been a prisoner in his suburban Philadelphia mansion since the April 26 conviction. That's the home where jurors concluded he drugged and molested a former Temple University athletics administrator in January 2004. O'Neill ordered Cosby outfitted with a GPS monitoring bracelet and said he needs permission to leave, and only to meet with lawyers or go to the doctor.